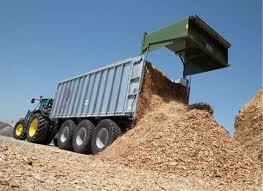 Biomass is organic matter including renewable plant material and vegetation, agricultural waste and other products. Biomass can be used to produce thermal energy and power. While not well understood by many, biomass has many economic and environmental benefits. Thermal energy represents roughly one-third of total U.S. energy consumption. It is used daily in homes, offices and industrial facilities for heating, water heating and industrial processes. Biomass can be an efficient source of renewable energy for many of the thermal and power needs at home and for business. the world. There are several different types of technology and plant configuration depending on specific application. Gemstone is working with a regional investment fund that is looking to promote the widespread adoption of woody biomass projects in the small to medium size business market. These projects supply both heat for space heating as well as hot water for heating and domestic use in institutions such as schools and hospitals. Gemstone can assist in both the project development and financing of biomass systems.